Well, April is here and snowbirds, procrastinators, and hibernators should be coming out. Any one ready to play some 75's ball in Wisconsin? Still need a couple more players. Hope to keep my attendance going but back surgery in Jan may prevent me from coming this year. For me, the setback to late March gives me some hope. Will know more Feb. 22. Thanks Weese, contacts are pretty thin. We have 12 committed, +2 alternates who will play if not a conflict with their primary team. Still waiting on some feedback from a couple of players in Milw. and any from Madison. It's February, any of you 75's coming out of hibernation and ready to play some ball this year? Give me a shout! Simple reason is your browser Zoom is a bit too high. Just try a couple of Ctrl -(Ctrl Minus). Or use the Zoom controls in the View Menu(at least in FireFox). Elgin's Windy City is not listed in tournaments and I don't find any information regarding it an any message board topic. Does anyone know what it's status is? Still looking! We still need 3-5 more to reach our goal of enough players to allow lots of flexibility in selecting tournaments for the 2019 season. Well Nancy, speaking strickly for my wife and I, She sometimes travels with me, sometimes not for Softball, she seldom goes to the games but is fully supportive of me. In return, all trips involve many deviations to quilt stores. As you have probably noted, I'm trying to form a 75's team here in Wisconsin and just added that I would welcome any ladies that would like to play with us. If a significant other is included, well, guess I would need to have them sign a non-nuclear agreement. And, it's actually very warm here, mid/upper 30's. Walking dogs every day is a muddy mess. Another update, if we do move to AAA then our "3 exceptions" become Majors. AND, another interesting option which I would seriously consider is, according to rule 4.2 C, women, if otherwise qualified, can play on a mens team. Ladies, give me a call or email. Intersting sideline to this question, If you note in rules 4.2 C women, if otherwise qualified, may play on mens teams. Not actually co-ed. I've never seen it, but having watched some of the women's games, I could see some fun benefits of this rule. Update to elgible players: Since we are a 75's team located East of the Mississippi we can accept any player who resides East of the Mississippi. Players must be either AA or AAA rated during current season and one prior season. If we exceed the "3 exception" rule on having AAA players then we will become a 75's AAA team. We are looking for players age 75+ to join a new team forming now. We also have a couple of openings for 74 year olds. We are looking for players in Wisconsin, Illinois, Minnesota,and Michigan. We play many of the midwest tournaments. Current needs are outfield, SS, and pitcher. 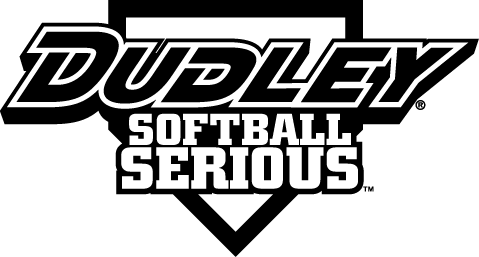 Team fee is $125, Organization provides shirts, hats, selection of senior bats, and pays all tournament registration fees. Contact Marty Meyers, martym@tds.net, (920) 406-8736 ( usually at this number in evenings) or cell (608) 225-1772. Players must be snowbirds and/or in GreatLakes Region. There will be practices Sunday and Monday prior to the tournament. Team bats, shirts, and hats will be provided. If you cannot contact Mike, try Marty Meyers at martym@tds.net. Phones: home-(920)406-8730, cell (608)225-1772. Are we begging? you bettcha! We are looking to add 2-4 players for our AA or AAA teams. AA-Contact Ralph Ramseier ralphy@vbe.com, AAA contact Dave Raymond daveraymond14@gmail.com. Whats with this new 4-game minimum? First Rochester, now I see Elgin(WindyCity) is 4. 5 was sort of acceptable, but 4 is really marginal for expense of travel for a 2 day tournament. Opinions? Explanations? Discussion: Preferred tournament wants, Short replies, please. 8. Mixed only if too few teams in your division. Wes-Go for it. I think you have a good idea. I'm one of the Players that asked for and received a release after the 1st tournament of the year simply because I was the only player on the team that did not get to play and never got an explanation/apology/nothing. It was painful as I had developed a great relationship with the players. Luckily I found another team to play with. But, I am only getting to play 4 or 5 tournaments. I would love to play a few more and the opportunities exist except for the fact that I can only play for one team. If my team isn't going to a tournament and there is another team that is short a player, I sure would like to be able to play. Never know when the end will arrive and I can't. If you are like me, I want to see this company/bats succeed. I'm a "MadeInUSA" proponent. If part of the problem is also finances of a startup, Those who really want a bat could step up to the plate, like me, and offer to pay for a bat right now. Assuming the bat is around $200 and 100 of us stepped up, 20 Grand just might help. I had both eyes done in 2005 approximately 3 weeks apart. Early diagnosis was cataracts, particularly in lower left of left eye which destroyed my backhand in racquetball. I opted for the crysta-lenses even though I did not have insurance and the cost was about $3500 per eye. I wore bifocal glasses prior to the surgery. I didn't quite make full 20-20 but do not need glasses except for computer work(special low power 24" focal length) and over the counter low power magnifiers for reading small print. My right eye is a bit better than my left. Regarding sports: For racquetball I am fine using clear over-the-counter safety glasses. For softball, I do better on receiving hits straight at me and to my left. Typically on hits to my right I have to remember to "stretch" more as the ball is usually a bit farther than I think. For batting, I really need to concentrate on the ball and be patient since I bat left handed. So IMHO-Go for the crysta-lenses. It's a one time shot for the rest of your life, ignore the cost, look to the future. It is a decision I have never regretted. If you want details on the actual lenses and surgery I'll be glad to post. Sears also owns Lands End in Wisconsin. I will contact them Wed and see what their policy is and report back. Semper Fi back to oldnslow! Bet you remember a hell hole called Paris Island!